Here on Rosh Chodesh Elul, I am beginning what I hope will be a sabbatical journey. 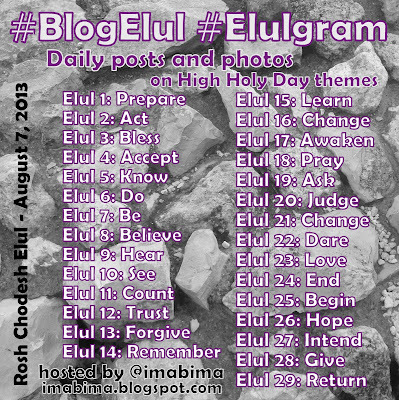 My semi-sabbatical from my day job will not begin until at least October, but it feels right to begin this journey with Elul, a month designated as a warm up to the High Holidays, to a new year. I stumbled upon BlogElul last year and was quite delighted to find a process that I happened to already be engaging in (more on that in a future post). Last year it was all contained in a little journal, but this year I am summoning some courage and intend to publish my daily entries here.